Voting is one of the most important actions that we can take in order to hold our elected leaders accountable. Every year, millions of people across the country are unable to vote because they miss the registration deadline, don’t have a chance to update their registration information, or are unsure how to register. This year, National Voter Registration Day is on Tuesday, September 25. 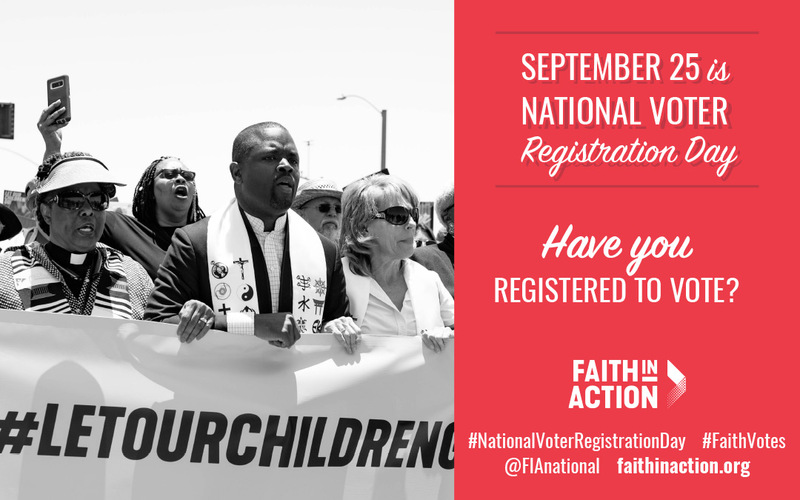 Download Faith in Action’s #NationalVoterRegistrationDay graphics and register to vote here.